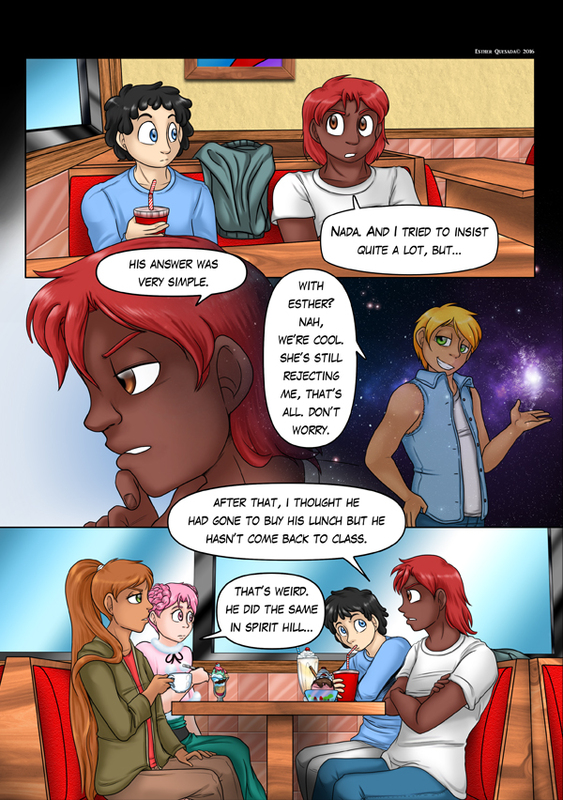 So, back on schedule and new page! Don’t try to search sense to that galactical background, it was supposed to mean Adam’s memory and I liked it that way (I’ve learnt a little about how to do nebula pictures recently) 😉 Actually, I spent a lot of time on this page too. The textures were the fun part, but the characters were hard to finish… I don’t know why.